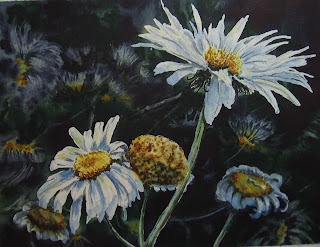 I've been painting daisies in the studio this week. There's a look I'm looking for...but I'm not finding it. I'm ready to bury them. But I'll keep working at it and I'm hoping that I will find the look I am looking for. Oh well. 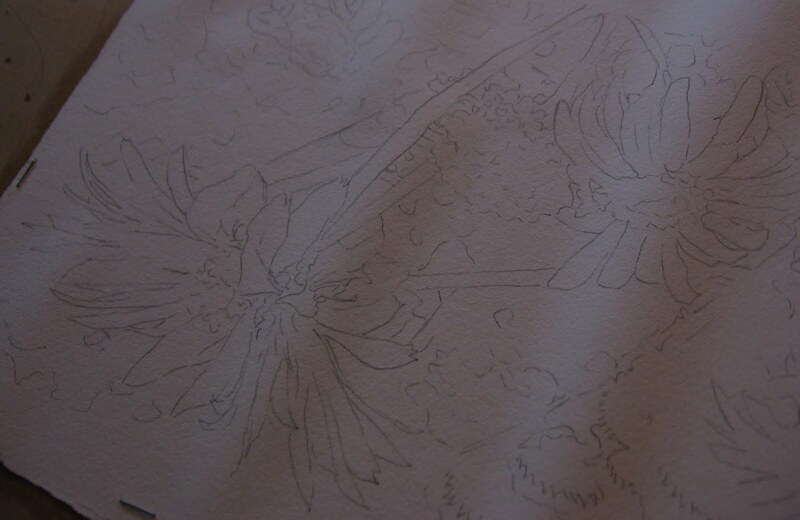 Back to the drawing board (or the watercolor board). On a totally unrelated note, there is a payoff for cleaning and organizing. While going through my son's closet (the son who has graduated from college and moved away), I found a few old CD cases. Most were empty, but a couple of them had treasure: Bad Company and Aerosmith! They have taken me back to my high school days, listening to music senior year with my best bud when we should have been doing more productive things (like attending class). You can even see me dancing in the studio if you pass by. My studio faces the road. The studio dog and I spend lovely moments watching the world. 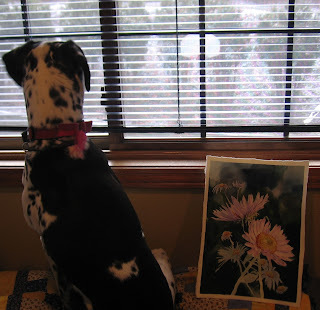 Actually, she's on patrol (here she is on duty next to one of the dead and buried daisy paintings). 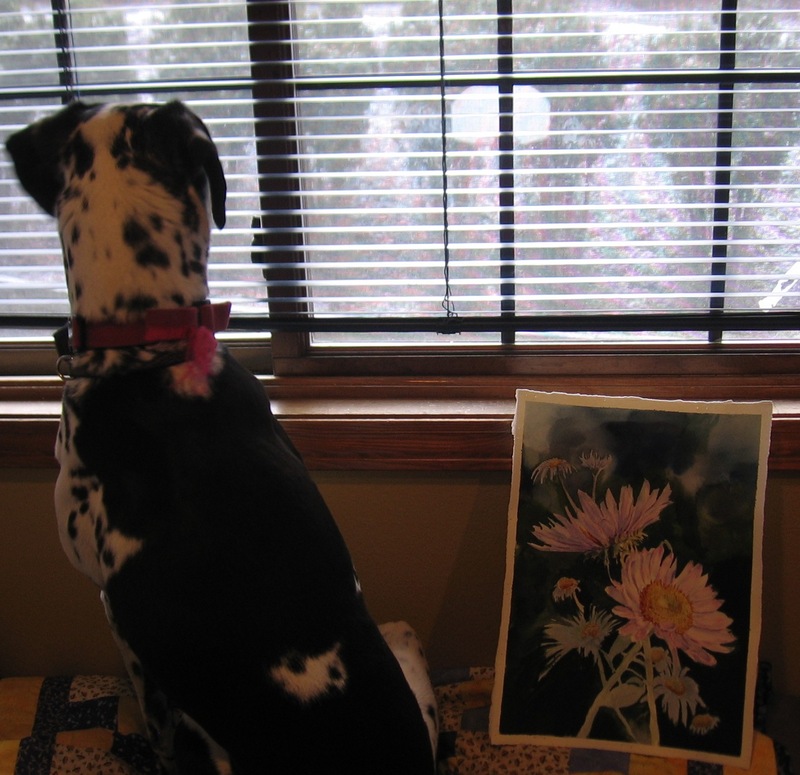 Aww, I like the daisies (and, of course, studio dog! ).